I have trained and shown my own dogs in Germany to compete in our equivalent here in the AKC confirmation, I also have had AKC champions. I put obedience titles on my dogs too. CD CDX UD and obedience titles in German Schultzhund II and was working on 3. But never got it. 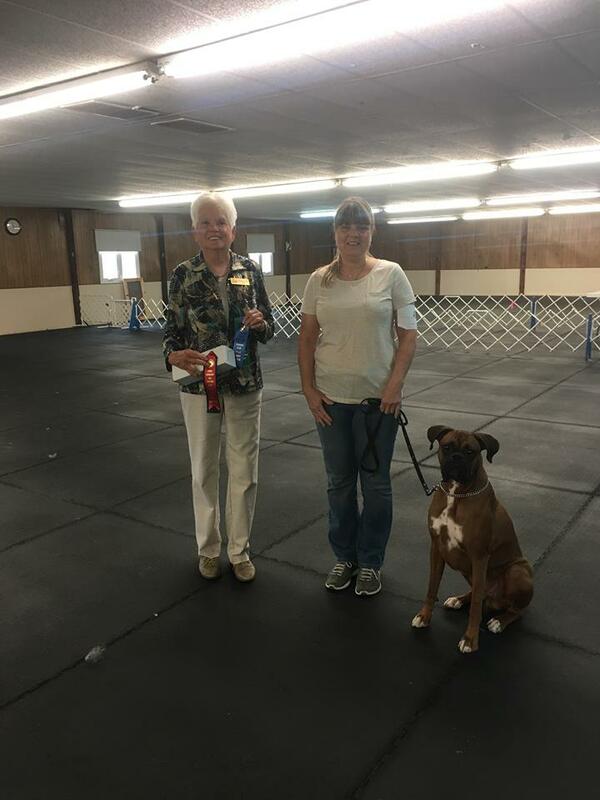 I now have a Boxer Joey who has his CD and we are now working towards our CDX.